LONDON – July 1, 2013: Hundreds of Nissan LEAF drivers will continue to make their way around the nation’s capital from today (July 1), safe in the knowledge their 100 per cent electric car remains unaffected by the London Congestion Charge. While other vehicles – including hybrids - have been stopped in their tracks by a tightening of the C Charge emissions rules and the scrapping of the Greener Vehicle Discount (GVD), the British-built LEAF, the world’s bestselling all electric car, can still enjoy the freedom of the city with a charge of £10 per year rather than £10 per day. What’s more, parking and charging the all-electric LEAF in London is a breeze. 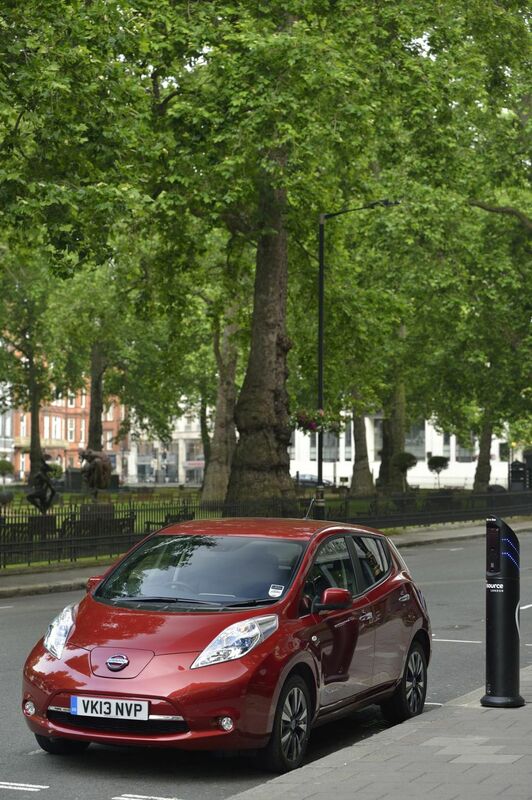 As the city now has more than 1,300 on-street charging points – the largest network in Europe. Nissan UK Sales Director, Jon Pollock, said: “The changes to the London Congestion Charge introduced today clearly make the Nissan LEAF the number one option for motorists who regularly drive into central London. “Importantly though, the LEAF is not a compromise. It’s a practical everyday family car that can come with everything from a state-of-the-art sound system to leather seats. Just launched in the UK, the second generation LEAF features more than 100 improvements on its predecessor and is now even more appealing, practical and affordable than ever. Among the improvements is an increased range – 124 miles compared to 109 miles – and quicker charging times. 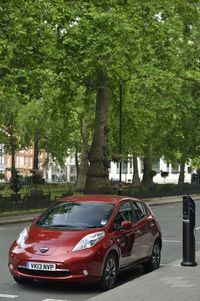 The new LEAF can be fully charged in as little as four hours when using a specialist charging point. What’s more, the model now comes in three distinct trim levels for greater choice, while a new battery leasing option makes financing more flexible and an enhanced battery warranty gives added peace of mind.